Faf De Klerk would have been thinking International Rugby is an absolute breeze after being allowed A* premium ruck ball to work his magic. The English allowed the Springboks quick ball, and the backs were in dreamland as Faf De Klerk, Handre Pollard and Willie Le Roux shredded the English defense in a 20 minute blitz before the break. England would dare not gift any team lightning quick ruck ball, and surrender the gain line with such ease, let alone South Africa. 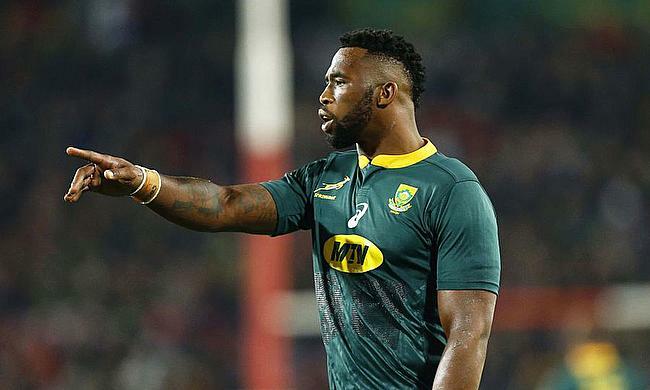 The Boks have shown a potent mix between power and skill. The Boks won the gain line battle using Faf De Klerk’s quick services, and flat passes hitting physical runners on the gain line with precision. Once the Boks had hammered in the midfield, they hit Pollard and Le Roux who ran riot in the outside channels. England weren’t able to keep their width in defense once the gain line had been breached. England need to front up physically, and get bodies off the ground if they are to be successful on the Highveld next week. They’ll need to make the Springboks go through 10-15 phases before try-scoring opportunities present themselves. The English will need to show resilience, endeavor and heart to absorb the pressure, which will inevitably come from the Boks. England played some sensational rugby in the first 20 minutes. We know Eddie Jones is master at manipulating defenses as well as creating and exploiting space. England ran some beautiful decoys, threw some brilliant passes to exploit the Springboks’ inexperienced unit. The first try came from a brilliant short decoy line by Billy Vunipola, before Owen Farrel threw the ball wide, creating an overlap for Mike Brown. The second try came from the scintillating Jonny May who ran a superb line off the shoulder of George Ford. Ford threw a pop pass, breaking the line and setting up a simple two-on-one an easy run in for Elliot Daly. The third try in the space of 15 minutes came from a magnificent cut out, over the top ball from George Ford. The Boks, using a new rush defense under defensive coach Jacques Nienaber were narrow in their press, with Ben May finding himself in a ton of space before drawing the fullback, and Owen Farrel scoring under the sticks. England certainly showed that they have the variety and creativity on attack to score plenty of tries against Southern Hemisphere teams. These tries were beautifully crafted, each using a different method to exploit and open up the defensive system. England defended particularly narrow on Saturday and left acres of space for Willie Le Roux to operate. The English will need to keep their width in defense whilst still trying to manage and cut down the enormous Springbok ball runners in midfield. England may have been narrow in defense, as they wanted to win the collisions and gain line battle in the midfield. However, South Africa played with a lot of width, which found England wanting in the tramlines. England cannot allow Willie Le Roux space time and space on the ball. The pitches and turf on the Highveld are hard and very fast. Ellis Park is one of the quickest pitches in the world, as cricket fans who are familiar with the Wanderers Stadium will know. In the second 20 minutes in the first half, England were way off the pace. The English lacked mobility, and with the Boks playing with such speed, were found badly wanting in Johannesburg. Eddie Jones saw the danger as early the 37th minute when he substituted Nick Isiekwe, bringing on Brad Shields to add more mobility. England were simply not coping with the speed that the Springboks played at. If there was ever a fixture that showed the difference in preparation that Super Rugby and the Aviva Premiership offer to International Rugby, this was it.